B-Sides Austin March 21-22, 2013, kicked off the night before with Jeremy Zerechak’s 82-minute documentary about the origins and present reality of computer privacy issues. 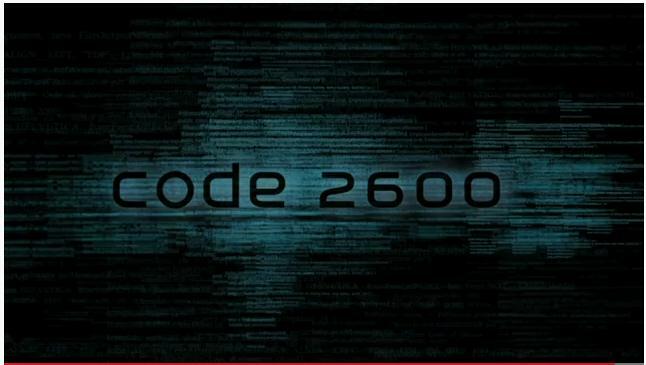 Code 2600 introduces modern cyber security via Sputnik and the Cold War which brought about the Defense Advanced Research Projects and the first computer network. The film also weaves in the threads of telephone systems and phone phreaking, and the transmutation of the computer from the behemoths of corporations and governments to the homebrew hacks that birthed the Apple computer. The result was an assault on your privacy which is magnified today by government agencies and private companies that compete for the control of the information that you create about yourself. More subtly, in the Cold War, we could see our attackers. We would know who launched the missiles. Today, the clues left by a cyber-attack are harder to trace. The war is going on right now with the governments of the USA and China hacking each other, as well as Britain hacking Norway. And corporations are really the leading edge players: everyone – civilian or military, government or corporation – uses the same operating systems and applications programs. The military is no longer the leading edge of technology: they buy it from the same places that you do. The success of AOL was a milestone. When the computer information service bought Time-Warner it heralded the blossoming of the information age. But we are still in the middle of the story. We will not know for 50 years how this plays out. “What should we be teaching young people about computers?” is the wrong question. Young people should be teaching us about how they use their devices, apps, and media, because that is the future. Official Movie Trailer on YouTube here.